He is a full time Professor in our Department. He obtained a BS Degree at Marquette University in New York in 1967. 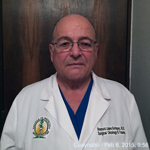 He was accepted at the University of Puerto Rico, School of Medicine and completed his MD in 1971. 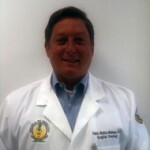 Completed his Internship and Residency in General Surgery at the University of Puerto Rico and Affiliated Hospitals. While working in his residency, Dr. López became a Cancer Fellow of the American College of Surgeons at the Puerto Rico University Hospital during 1973-1974 and then participated as Clinical Cancer Fellow of the US Department of Health Education and Welfare at the Puerto Rico University Hospital during 1975-1976. After completing the residency, he spent a year as Cancer Fellow at the Roswell Memorial Institute in Buffalo, New York. He then spent two more years at Roswell Surgical Oncology & Head and Neck Cancer & Solid Tumor Chemotherapy. Dr. López is currently Associate the Chairman of the Puerto Rico Comprehensive Cancer Center, Chair of the Cáncer Committee and Tumor Board president at the Pavía Hospital and Director of the Surgical Oncology Service at the Department. He has received several distinctions among them Who´s Who in America (1991), AMA Physician Recognition Award (1991). He is actively involved in research activities at the Comprehensive Cancer Center which has a joint program with the MD Anderson Cancer Center. He received his Medical Degree from the UPR School of Medicine in 1997 and completed his Surgical Residency at UPR RCM in 2003. After residency he did a Fellowship in Head and Neck Surgical Oncology at Roswell Park Cancer Institute in 2005 and a Fellowship in General Surgical Oncology City of Hope Cancer Center in 2007. 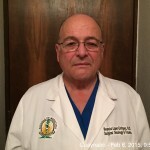 He is a Board Certified Surgeon and a Diplomate of the European Board of Surgical Oncology. She received her Medical degree from the UPR School of Medicine in 1986 and completed her surgical residency at UPR RCM in 1992. 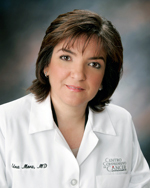 She went on and completed a Fellowship in Oncologic Surgery at MD Anderson Cancer Center in 1995. 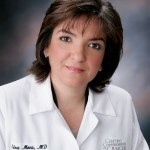 She is a Board Certified Surgeon, a Professor of Surgery and participates in the Cancer Biology Laboratory project. She earned her Medical Degree from the UPR School of Medicine in 2003 and completed her Surgical Residency at UPR RCM in 2008. 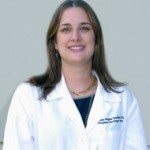 She went on and completed a Breast Surgical Oncology Fellowship at the MD Anderson Cancer Center in 2009. She is a Board Certified Surgeon that specializes in breast cancer.